A stunning visual tribute to Italian photographer Paolo Roversi’s celebrated images for the house of Dior. A fashion house beloved for designs evoking modern Parisian elegance. A photographer renowned for hauntingly delicate portraits. This definitive volume, Dior Images: Paolo Roversi, is an ode to their legendary rapport. Presenting photographs from British Vogue, Vogue Paris, and W, this tome spotlights creations by Dior’s artistic directors Gianfranco Ferré, John Galliano, Raf Simons, and Maria Grazia Chiuri. It also contains exclusive pictures from a photoshoot supervised by Grace Coddington featuring designs by Christian Dior himself. Equal parts fashion monograph and photographic portfolio, this exquisite volume will enthrall photography, style, and art lovers. Paolo Roversi is a fashion photography luminary who has collaborated with top brands and publications on advertisements and editorials. He lives in Paris. Emanuele Coccia is an Italian philosopher who specializes in analyzing the status and power of images, especially in fashion. 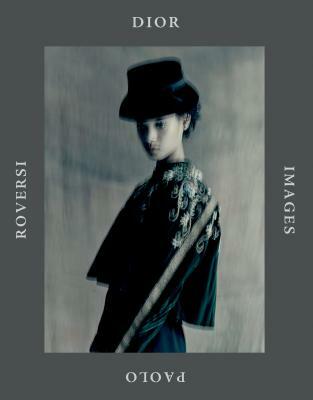 "...a must-read for aficionados of fashion and photography alike..."
"It's a fantastically well-executed book, one that gives Roversi's otherworldly images their due." "...It is a very odd sensation to finish a book like Dior Images and have words like lyrical, mythical, poetic, evocative, and intimate come to mind ..."